WARNING: To avoid danger of being scalded, do not drain engine coolant when engine is hot. NOTE: When removing components such as hoses, tubes/lines, etc., cap or plug openings to prevent fluid from spilling. Remove the air cleaner and air duct. Refer to EM-24, "Removal and Installation". Disconnect the PCV hose from the rocker cover. Disconnect harness connector from EVAP canister purge volume control solenoid. Disconnect the EVAP hose and EVAP canister purge volume control solenoid. 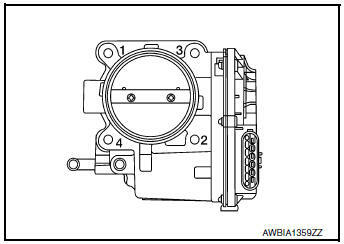 Disconnect harness connector from electric throttle control actuator. Disconnect the water hoses from the electric throttle control actuator (if necessary). When removing only intake manifold, position electric throttle control actuator aside without disconnecting the water hose. Loosen bolts in reverse order as shown, then remove electric throttle control actuator and electric throttle control actuator Oring. Handle carefully to avoid any damage. Cover intake manifold opening to prevent entry of foreign materials. Disconnect harness connector from intake manifold runner control valve. 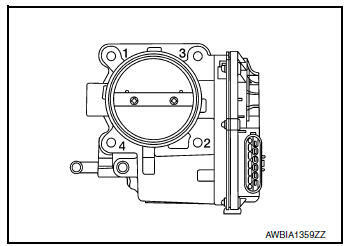 Disconnect harness connector from intake manifold runner control valve position sensor. 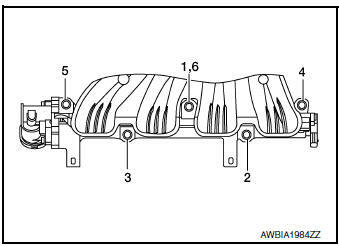 Remove intake manifold in the reverse order shown and remove the intake manifold gasket. CAUTION: Cover engine openings to prevent entry of foreign materials. Add engine coolant (if necessary). Refer to CO-9, "Refilling". 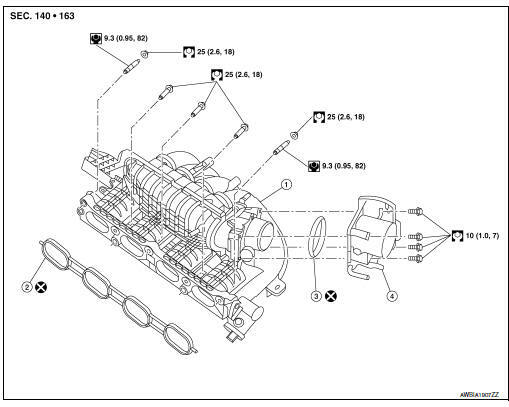 Perform the “Throttle Valve Closed Position Learning” when harness connector of electric throttle control actuator is disconnected. Refer to EC-140, "Work Procedure". Perform the “Idle Air Volume Learning” and “Throttle Valve Closed Position Learning” when electric throttle control actuator is replaced. Refer to EC-141, "Work Procedure" or EC-140, "Work Procedure". Securely install gasket to groove. CAUTION: Do not reuse gasket. If studs were removed, install them and tighten to specification. Tighten in numerical order as shown. CAUTION: After tightening the five bolts in the order shown, the 1, 6 position designates that the first bolt tightened is to be retightened to specification. Install a new O-ring on the electric throttle control actuator. CAUTION: Do not reuse electric throttle control actuator O-ring. 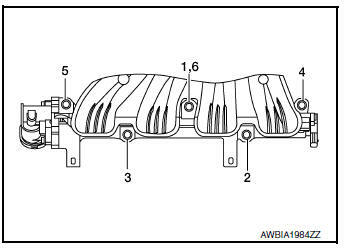 Tighten the bolts of electric throttle control actuator equally and diagonally in several steps in numerical order as shown. Apply fuel pressure to fuel lines by turning ignition switch ON (with engine stopped). Then check for fuel leaks at connections. NOTE: Use mirrors for checking on connections out of the direct line of sight. Start the engine and rev it up and check for fuel leaks at connections. WARNING: Do not touch engine immediately after stopping as engine is extremely hot.